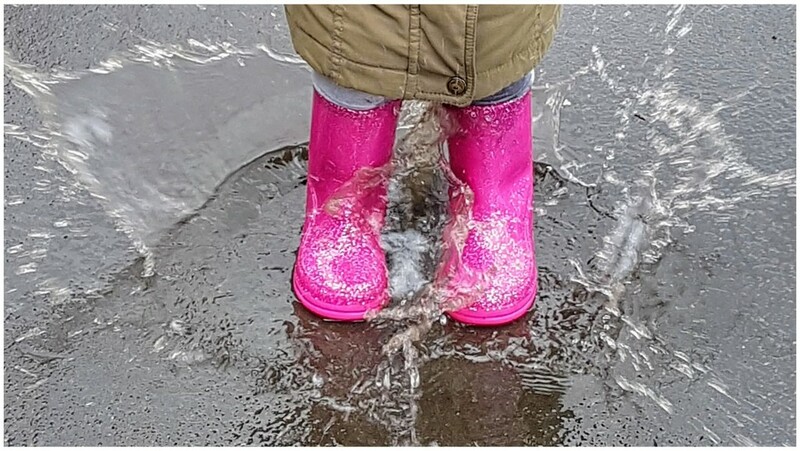 Pink wellies for my rainbow! Great splash and pop of colour! greatest part of being a kid … love it!! I bet the person wearing them is as cute as the pink wellies!